Christian groups who performed rock, due to the selected genre are not always able to sign a contract with a good Christian label, which could promote the quality of their music, so many teams crisscrossed America for their own means, and earned barely enough to eat. "Overland Stage" were formed in North Dakota and was one of the few Christian rock bands that had a contract (in their case, the label was "Epic"). The album was recorded at a studio in San Francisco, but it was a harbinger of the single "I'm Beginning To Feel It". The band played music from hard rock to progressive rock, for which they were compared at the same time and with the "Rolling Stones", and "Yes". 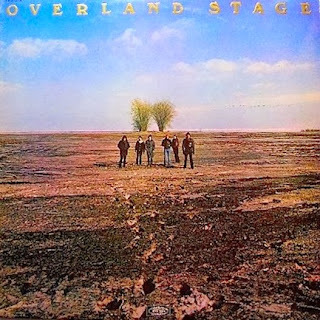 It seemed that the future is born the legend of Christian rock music, but after a couple of years, "Overland Stage" disappeared from sight and never made ​​themselves felt.